You can count on these vloggers to deliver the best reviews, hauls, hacks, and tutorials! From hacks like chopstick curls (Yup!) to DIY salt sprays and homemade hair masks, if you ever need hair care and hairstyle tips, she's the one to go to. Her videos are quirky and straight to the point, plus her titles will always make you LOL! 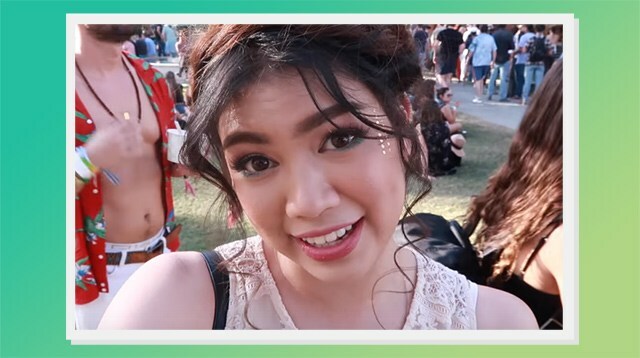 Aside from beauty tutorials, Janina also vlogs her travels (like when she met the Riverdale cast at Coachella!) and gives tips on subjects like how to take the perfect flatlay. You'll find every makeup look you'll need in Anna's arsenal of flawless tutorials. She has everything covered, from fun hauls and how-tos, to swatches and beauty tips! Love videos that are vibrant and girly? Then Kristine's your girl! You'll find acne tips, nail art, and DIY food recipes in her channel. If you like the more luxurious side of beauty and fashion, check out Charmaine's channel. You'll never get bored with Anna's videos as she does a mix of sit-down tutorials and hauls, combined with vlogs about her different events and trips. Plus, her genuine personality makes her more relatable! The singer and actress loves to play with makeup too, and her adorable dog will always make a few cameos—so cute! If you want a Pinay mom beauty vlogger, turn to Isha's fun and informative channel! Editor's Note: The ranking in this article is based on each beauty vlogger’s number of subscribers on YouTube. Special thanks to YouTube Philippines.